I’ve seen Fairport several times since I first saw them in 1979 on their “farewell” tour but they’ve never come anywhere close to how good they were that first time. I think the addition of keyboards to the groups sound never sat right with me but also I seem to recall the venue lacked atmosphere this night. 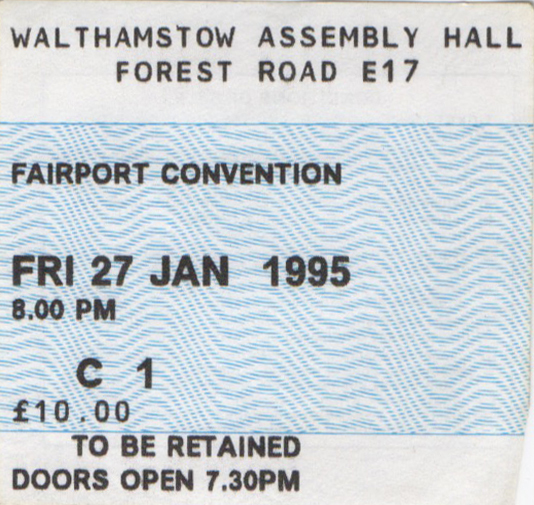 I used to live in Walthamstow but this was the first time I’d been to a gig at the Assembly Rooms – four years after moving away! I think we went with our friends – the ones who bought our flat off us!